Whether you are looking for casual or smart slip-on shoes, Zalando Lounge has a fantastic selection for you to choose from. From smart designs for work to casual designs for hanging about town, we have the right shoes for every occasion. Slip-on shoes come in all shapes and sizes – but what they all have in common is their lack of laces. Without needing to fiddle around with bows or buckles, these shoes can be slipped on with ease so that the wearer is ready to hit the road in seconds. They are not only smart and stylish, they are extremely practical – that’s what we call convenient fashion! And this is exactly why our love of loafers is shared by footwear fans across the world. Usually made from different types of leather, Zalando stocks a wide variety of styles that can complete any outfit. Choose from our selection of colourful suede designs to stand out from the crowd. Opt for one of our tanned or black leather slip-ons to add a touch of class and distinction to your work outfit. 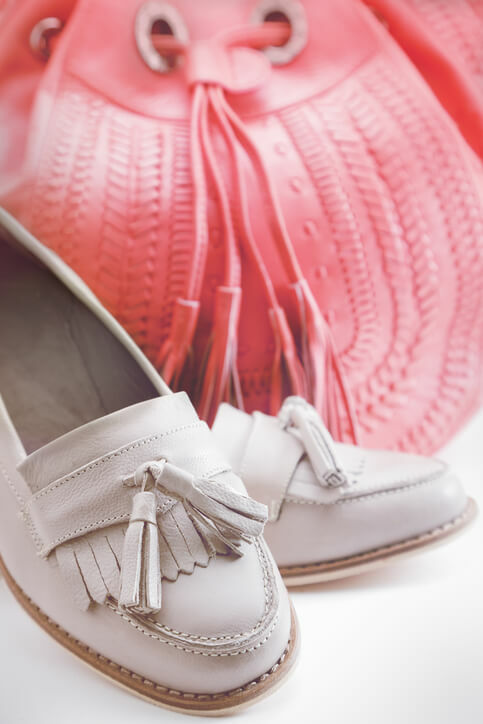 Or why not go for or more playful design with tassels and other decorative features to make your casual footwear collection a little more interesting. These shoes have a timeless appeal, which is why they have featured in the collections of renowned fashion brands, including Gucci, since the 1960s. They can be effortlessly combined with a classic pair of jeans, slacks or chinos. Furthermore, they are extremely versatile – whether you are heading to the cinema, visiting friends and family or giving an important presentation at work, you can reach for that same pair of shoes and know that you will look fabulous. Zalando Lounge offers a new, convenient way to shop for footwear, clothing and fashion items. Our exclusive daily offers on top brand fashion allow us to provide our club members with exclusive discounts of up to 75%*. As our customers receive new special offers every day, shopping on Zalando Lounge is an exciting way to keep up with the latest fashion trends and keep your wardrobe stocked with show-stopping outfits. Our online shopping club regularly offers discounts on men’s and women’s slip-on shoes. This includes discounts of up to 75%* on leading women’s brands, including Victoria Shoes, Tamaris, Anna Field and Pier One. Famous menswear brands are also featured with a wide range of stylish slip-ons from household names, such as Dr Martens, Sweeney, House of Hounds, Calvin Klein and Jeffery West. Whether you want to be the envy of every fashionista in a pair of trendy, mock-crock loafers, or find the perfect pair of understated boat shoes for fun in the sun this summer, by joining our online shopping club you are sure to never be short of options. Taking advantage of our exclusive deals is easy – head to our website where you can join Zalando Lounge free of charge and we will send you email updates on the fashion items you love. So, if you need trendy slip-on shoes for work or play, head to the Zalando Lounge website to join our community of fashion lovers. Our selection of practical slip-on footwear and simple purchasing system will leave you feeling more satisfied and fashionable than ever.